Friendship Chinese is a descent restaurant if you are looking for the "Americanized" style chinese food. It is better than Panda Express and those other fast food places, but it doesn't compare to the places you can find in Chicago's Chinatown. I fortunately had a Groupon for this restaurant otherwise I probably wouldn't have chosen this place. I will admit I didn't dine at the restaurant... so maybe the delivery was just not that appetizing? I gave them a 1.5 mile rating just because the crab rangoon was pretty good and the orange chickens was amazing for the first few bites... and also because I was being nice since I had all this food "to-go." I am giving them the benefit of the doubt that the food is better at the restaurant! 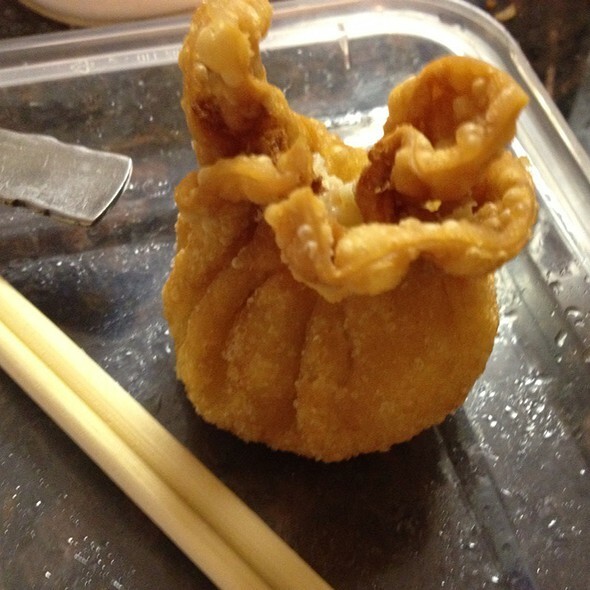 The best part of the meal by far... but can anyone really mess up crab rangoon? They were still crispy after arriving to my front door. And were stuffed with plenty of cream cheese. Not much crab flavoring in them... but thats ok. The usual sweet and sour dip was used with these! 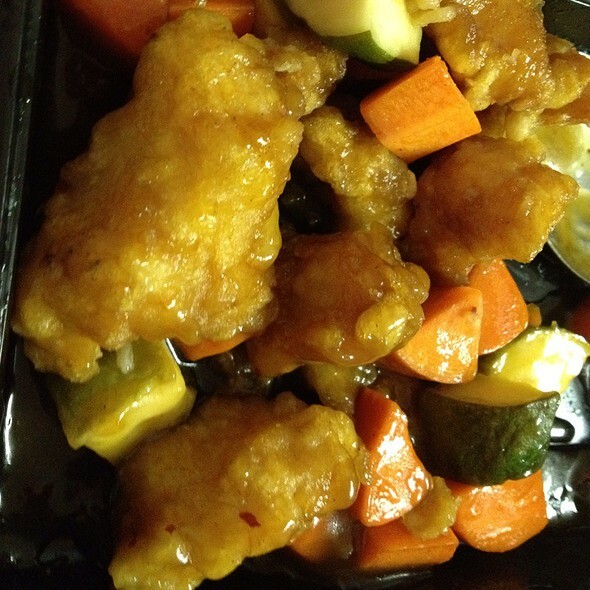 I got the honey part of this orange chicken... but not much spice to it at all. I was hoping for a little extra heat so I just added additional chili sauce and ate this with the white rice. I was pretty hungry at the time so it tasted pretty good... but after eating it for a while, I started to get all that oiliness that makes you nauseated. 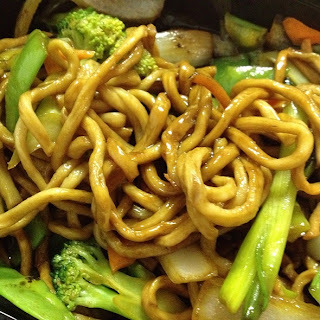 This was bland... lots of oily noodles and seemed to be boiled vegetables that were thrown it last minute while the noodles were finishing the stir fry. I really didn't enjoy these and neither did my vegetarian friends that were eating with me. Another extremely bland dish. 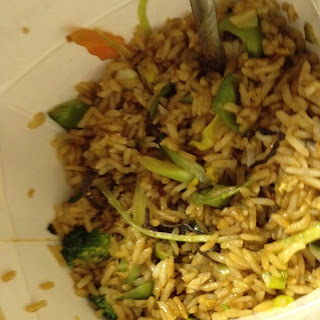 It tasted like white rice with a little coloring and some vegetables added in. I still don't understand how someone messes up fried rice. It is sort of sad. - Buy a groupon if it is available and use it here. Otherwise I wouldn't be choosing this place. - Do order appetizers... It seems like they are better at making appetizers rather than entrees. - Order from home for delivery... The food just wasn't good and I think it would be better if I had eaten at the restaurant.